The election of Donald Trump has exposed American society’s profound crisis of hope. It occurred against the background of a generation of shrinking employment, rising inequality, attacks on public education, and shredding of the social safety net. The tumultuous first months of the Trump presidency have set the stage for a stunning insurgency of resistance. Against this background, and drawing on generations of political struggle as well as philosophy, Ronald Aronson argues for a unique conception of social hope, one with the power for understanding and acting upon the present situation. Hope, he argues, is not a form of dependency—neither a religious faith nor the belief in an authoritarian strongman who proclaims “I alone can fix it.” Hope is not a mood or feeling, and it is not passive. It is the very basis of social will and political action. it entails acting collectively to make the world more equal, more democratic, more peaceful, and more just. Even at a time when false hopes are rife, Aronson argues, social hope still persists. Always underlying our experience‰ÛÓeven if we completely ignore it‰ÛÓis the fact of our social belonging, which can be reactivated into a powerful collective force, an active we. Copies of Ronald Aronson’s newest book We: Reviving Social Hope will be available for purchase at the event.  CFI Michigan values full participation for all attendees at all of our events, including participation from individuals with disabilities. Requests for reasonable accommodation may be made by contacting Jennifer Beahan at jbeahan@centerforinquiry.net or 616-706-2029 at least three days prior to the event.